The most boring race of the year? As most of you are aware, the first monument of the season doesn’t excite me. This race is all about endurance, the organisers try to ground down the peloton before the finale of the race. It’s not a great spectacle, until the final 10km. Sunny with a little wind coming from the south, making it a cross/headwind for much of the day. The race begins with the Cipressa, or this is when some riders leave the race. It’s 5.6km at 4% and a relatively steady effort. It’s been a long time since we’ve seen this being a launchpad for a serious attack. 3.3km at 3.2%, with a maximum of 7%. Not difficult, but coming after 280km of racing it certainly hurts the legs. Sprinters start at the front and allow a little sliding room, as it’s important to still be in the middle of the bunch at the crest. The descent is a thing of beauty, with some sweeping bends. This is where a difference can be made, but mistakes can also happen. We’ve seen a number of crashes here over the years. 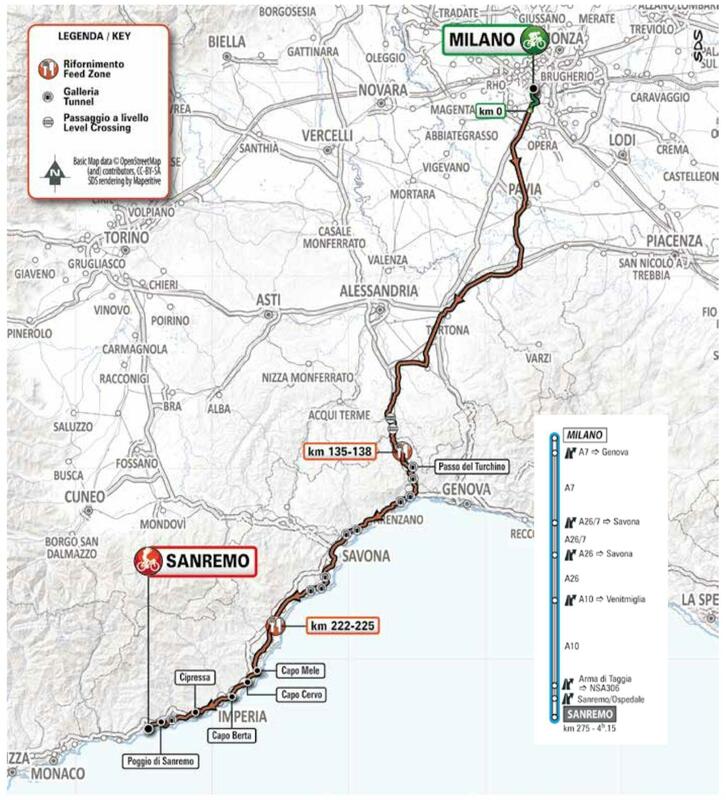 The race is built around the final kilometre of the Poggio. We’ll see some attacks, but will they get a big enough gap to stay away? Last year, Nibali at an 11 second advantage over the top and 8 seconds at the bottom of the descent. It took a little too long for teams to get organised and this gave him enough of a gap to take the win. More so than any other race, the organisation of the chase determines the outcome of the winner. After four consecutive sprint finishes, we’ve now had two consecutive breakaway wins. 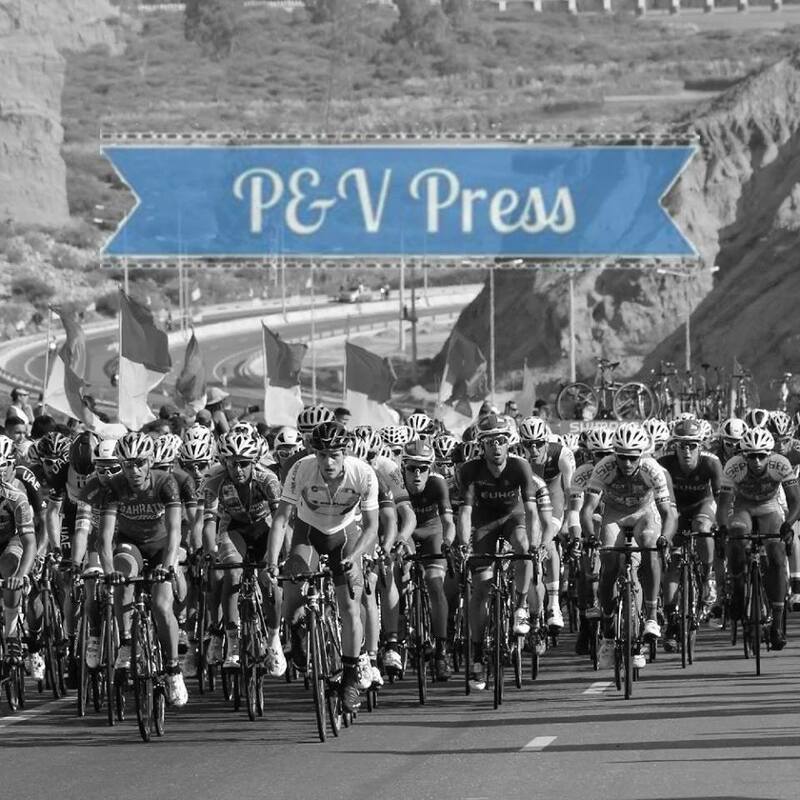 Looking at the contenders, a number of the puncheurs are in good form, but there is no guarantee we get another breakaway success. In terms of tactics, here’s the race in a nutshell. Tim Declercq will control the majority of the opening 200km. Another team will try and set a fast pace on the Poggio, but we’ll get a few attacks. We’ll then see if a team has enough domestiques left to chase it down and set up a sprint. So what I mean? Boring! Peter Sagan – it’s almost unbelievable that he still hasn’t won this race. The winner of the Tour of Flanders, Paris-Roubaix, 3 World titles and 11 stages in the Tour de France, the great man will be itching to claim his 3rd monument. One of the most successful cyclists in the modern era, just why hasn’t he won here? He was outfoxed by Kwiatkowski in 2017, outmuscled by Ciolek in 2013 and crashed in 2016, he’s certainly had his chances. Sagan is always put in a difficult position, should he attack or wait for the sprint? Last year he waited, and it didn’t come back. This season he doesn’t look to be on top form, that could force him into waiting for the sprint, which could turn out to be the correct move. Elia Viviani – there would be something beautiful about the Italian champion taking this one. He’s never managed to make the podium here, but has had limited opportunities. Last year, his team almost got to Nibali, but he didn’t have any legs left for the sprint. That will have been a good learning experience for him, and I expect a much better performance this year. He’s enjoyed a strong start to the season and arrives already having claimed 4 wins. Nibali was the first Italian victory in 12 years, the locals would go crazy if Viviani made it two from two. Sam Bennett – arguably the form sprinter in the race. The problem for the Irishman is that he rides for the same team as Sagan. This means he’ll only get to sprint if Sagan isn’t feeling great, or he wastes all his energy by attacking on the Poggio. Arnaud Démare – winner here in 2016 and also took 3rd place last year. The Frenchman has the engine required to still have energy left after such a long race, that’s crucial in this race. FDJ are often underrated, but they do have a strong team for this race. I would expect him to be challenging for the win. Caleb Ewan – the little Aussie was very close last year, winning the bunch sprint to finish 2nd. Now riding for Lotto Soudal, they’ll be desperate for him to claim a monument, that’s why they signed him. He’s started the season in consistent fashion, but only has one win to his name. This isn’t a race Lotto have performed well in over the years, I’m not convinced Ewan will change this. Please note, I said the same last year! Fernando Gaviria – the Colombian is another who seems to enjoy this race. On his debut, back in 2016, he crashed when in a great position. In 2017 he finished 5th, despite racing with a broken bone in his hand and he had to miss last year due to a crash in Tirreno. He has the engine required to win this race and in Alexander Kristoff, he has the ideal rider to guide him in the final 2km. Can he be the first ever Colombian winner of Milano-Sanremo? Alexander Kristoff – will only get to sprint if Gaviria isn’t having a good day. John Degenkolb – another former winner, the big German won here in 2015. I do like the look of the Trek squad, there is every chance of Stuyven, Theuns and De Kort being able to survive the Poggio. This would be brilliant news for Degenkolb, as a strong lead out would put him into a race winning position. He struggles to win standard sprint stages, but this is no standard sprint. After such a long distance, he’ll be one of the fastest left in the race. Julian Alaphilippe – the mercurial Frenchman. After a swashbuckling start to 2019, he already has 5 wins. His team role will be fascinating, as QuickStep also have Viviani in their squad. Will he be used to anchor any Poggio moves? Will he wait in the bunch and try to bring the break make? Will he be given full freedom? Now 26, I sense it won’t be long until he wins his first monument. Michal Kwiatkowski – took a brilliant win in 2017, even beating Sagan in a sprint! After a strong showing in Paris-Nice, he should arrive full of energy and confidence. His only option is to attack on the Poggio and see if the break can stay away. Will lightning strike twice? Another boring day in the saddle, which will only come to life in the final 10km. Once the dust settles, we’ll get a sprint and Elia Viviani will take a huge win in the Italian tricolore.